Freeware application which allows users to catch images from internet camera and to send it in JPG i BMP format to www site by FTP. Freeware application which allows users to catch images from internet camera and to send it in JPG i BMP format to www site by FTP. 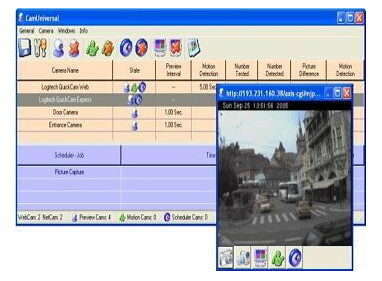 This software is very useful when the user of pugged in camera want to see what is happening in the room when he is somewhere else. Image Uploader offers a lot of useful options such as automatic adding formated text and date and hour in the chosen place on the image, or sending image every given time on FTP server. Moreover user can change image resolution, invert colors or save it in greyscale. HTTP Server - the program runs own HTTP server that all users, connected to your computer, can watch your cameras and play back recorded video files. CamUniversal - Is the ultimate solution for all of your video demands. It supports WebCams, NetCams (IP-Cams) and all video devices which are working with an up to date driver for Windows. Additional it includes a Network Server Client functionality to send the video from all cameras from one server PC to all connected client PCs (RemoteCam) and it includes a Webserver for direct access of all camera videos per simple HTTP request! 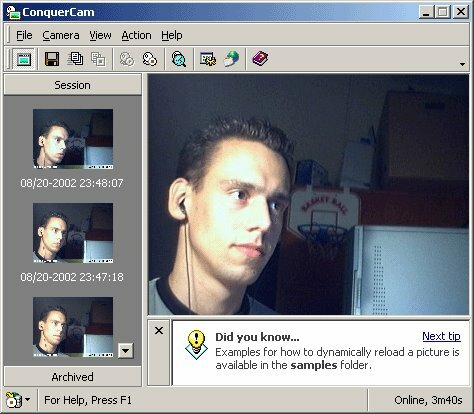 ConquerCam is a low-priced easy to use webcam manager for grabbing images from your web cam, preparing them with various effects and uploading them to your web site. 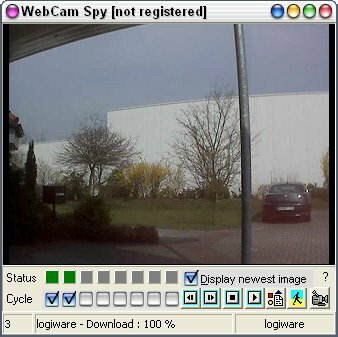 Using ConquerCam you are able to setup your computer as a security system as well using the advanced motion detection and mail-notification system included. 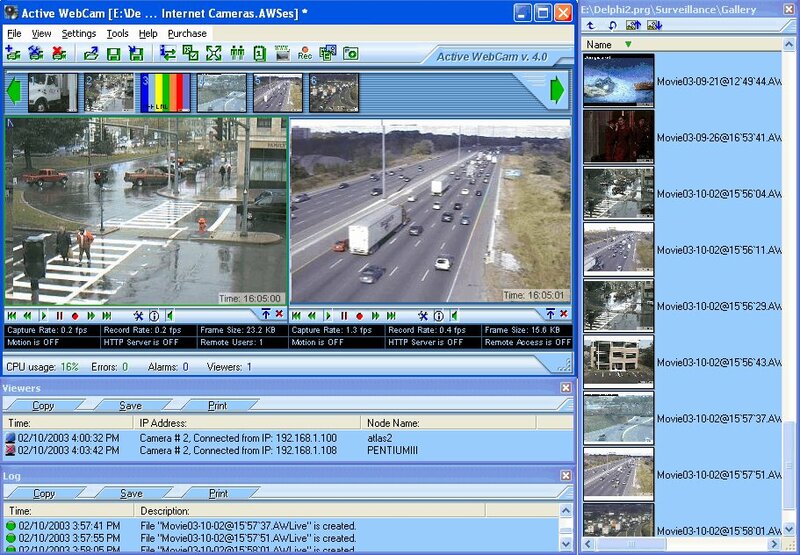 ConquerCam has been designed from the ground and up with all Windows versions in mind. The user-interface has been reviewed and modified by many people to ensure top quality. ConquerCam can be customized in a variety of ways, e.g. 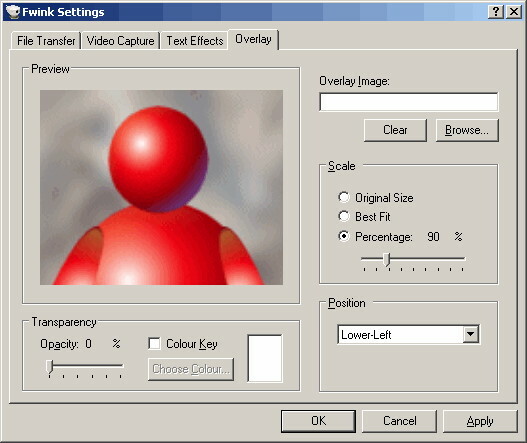 by selecting how often you want to grab and upload images, which overlay effects you want to use (many of the well-known Adobe PhotoShop effects are available such as Multiply or Darken) and unlimited numbers of textual captions to put on your grabbed image using a bunch of tags. Tags are replaced by dynamic data such as current date/time, WinAMP title currently playing or the Swatch Internet Time. It's common to grab an image from a web cam, apply an overlay effect which grey-out certain areas, add some text with a name of your web site and a timestamp and finally FTP the prepared image to a web site. These kind of actions are in focus in ConquerCam and thus makes this application very useful, very fast. 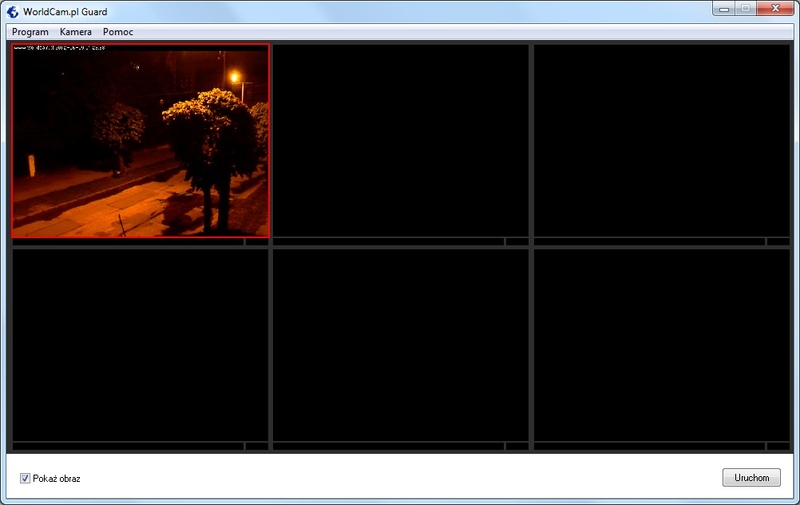 Fwink is a free and open source webcam application for Windows. It takes images from your camera at timed intervals and puts them on your web site with FTP. You can add effects like text messages, time stamps and an overlay image. You can superimpose a logo, or any image you want, on top of your webcam image. The following image formats are supported: JPEG, GIF (transparency is supported), PNG (transparency and alpha are supported), BMP, TIFF and WMF. You can now trigger your camera with the ATI Remote Wonder. Instructions for configuring this plug-in are provided with Fwink..
Our motion detection video surveillance software captures images only when triggered, providing time stamped video surveillance files of events as they occur without recording inactivity between events. Among the many video surveillance features, our e-mail notification video surveillance feature can let you know what is happening at home. Use the FTP image upload video surveillance feature to create your own web video surveillance site. Get paged or simply view your home remotely. Configure Gotcha! to your own video surveillance needs.Gotcha! is fun and affordable for both home and office video surveillance! 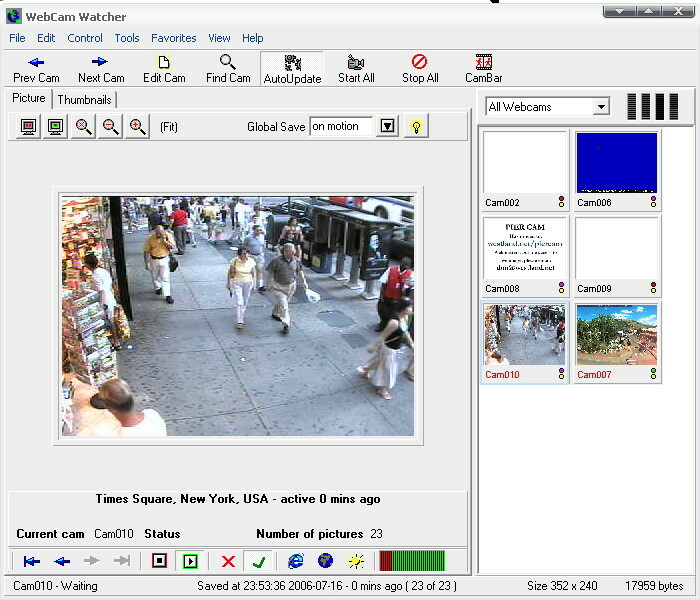 HomeWatcher is motion sensitive webcam software for Windows. 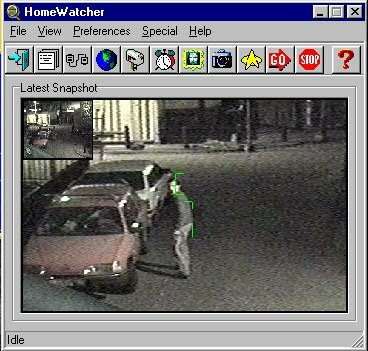 Originally designed for security purposes like watching your house from work, HomeWatcher can be used in almost any situation where remote monitoring is required. HomeWatcher gives you relevant images instead of numerous snapshots without interesting information. Don't have a real camera? 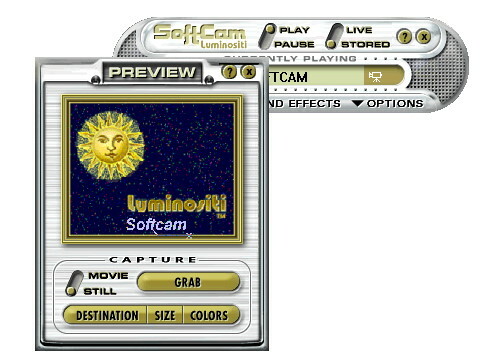 Use SoftCam to stream your own creative visual effects instead! Use SoftCam with your favorite video conferencing applications - Microsoft's NetMeeting?, Cornell's CU-SeeMe 1.0, iXL's iVisit?, Cybration's ICUII?,and many others. Already have a camera? 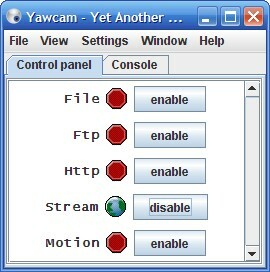 SoftCam is the perfect enhancement, allowing you to switch dynamically between multiple live and stored sources. Get SoftCam Pro with the WaveMux? Enhancement to add fun sound effects or to blend your voice with an AVI's audio. Use the screen capture tool to stream your desktop in realtime. Use FloatIt? to plant your favorite bitmaps around your desktop as information markers. Create a webpage with live pictures or video from your webcams. 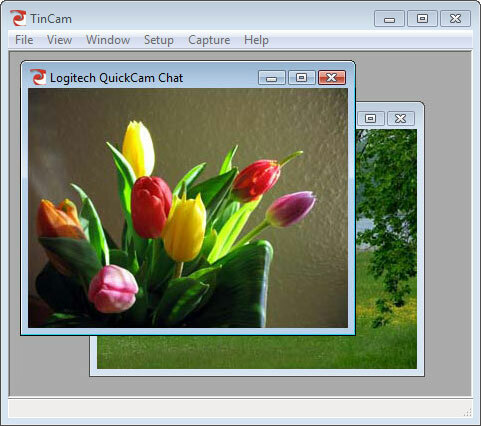 TinCam can upload pictures to your webserver or serve them directly from your own computer. 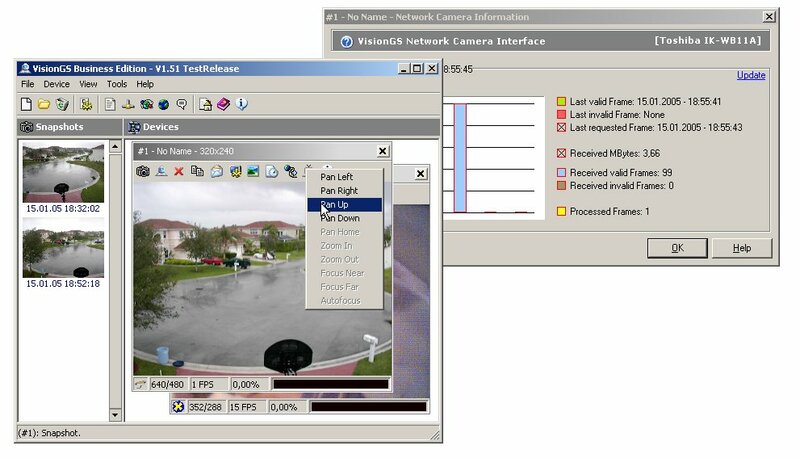 VisionGS is full featured, wizard driven webcam and security software for Microsoft Windows platforms. the software has been on the market successfully for more than four years with a positive press (worldwide) and we have acquired a large amount of satisfied customers in all industries (click on the link for examples). you can use this software package to broadcast live to the internet using the implemented http server, the ftp protocol or the implemented streaming server. VisionGS offers support for most ever video device and webcam, including a huge amount of network ip cameras. VLC media player is an open source, free software media player written by the VideoLAN project. VLC is a portable multimedia player, encoder, and streamer supporting many audio and video codecs and file formats as well as DVDs, VCDs, and various streaming protocols. It is able to stream over networks and to transcode multimedia files and save them into various formats. VLC used to stand for VideoLAN Client, but that meaning is now deprecated. It is one of the most platform-independent players available, with versions for Microsoft Windows, Mac OS X, Linux, BeOS, Syllable, BSD, MorphOS, Solaris and Sharp Zaurus, and is widely used with over 100 million downloads for version 0.8.6. VLC includes a large number of free decoding and encoding libraries; on the Windows platform, this greatly reduces the need for finding/calibrating proprietary plugins. Many of VLC's codecs are provided by the libavcodec library from the FFmpeg project, but it uses mainly its own muxer and demuxers. It also gained distinction as the first player to support playback of encrypted DVDs on Linux by using the libdvdcss DVD decryption library. Webcam Watcher watches webcams for you, downloading and saving pictures when they change. You can jump between cameras and scan back and forward in time, literally putting the world at your fingertips. Connect a webcam to your PC and have it react to many kinds of motion. 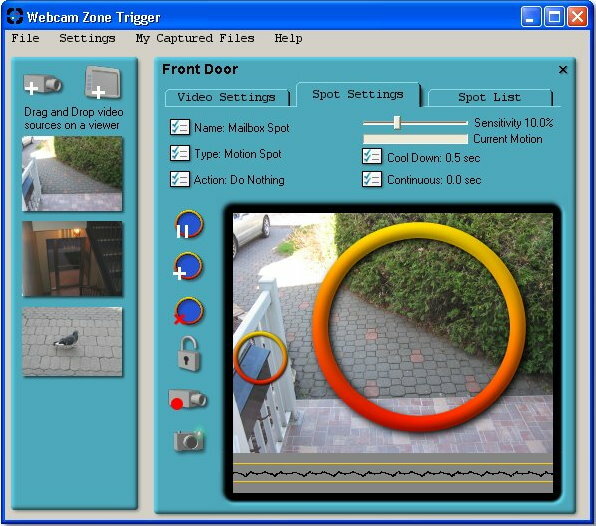 Webcam Zone Trigger is the first multi-purpose motion detection software. This means that motion detection isn't just for security anymore. Simply place Hot Spots anywhere on the video image, move them around and resize them. They detect motion within this area, and when triggered, they perform the actions that you have selected. Useful in such sectors as Art, Marketing, Quality control, automated inventory, security and monitoring, motion detection has never hit so close to home. Webcam32, makes it easy to capture live streaming video and broadcast it on your web page. Many Webcam32 customers use their live webcam to significantly increase their web site traffic. Viewers do not need a plug-in or any additional software to view your live streaming video from their web browser.